Back when I went to school, we only dreamt of the technology that we have today. In my classrooms, we were lucky to have an old IBM that we could type out our addresses on; I’m talking the DOS programs with the blue screen. Today’s classroom is full of technology whether is that the teacher has a computer along with a Smartboard in the classroom; the students using the own devices such as phones, tablets or their own laptops. Now I read that classrooms in England are testing virtual reality machines, how awesome is that! Using technology like this allows our students to see what we are teaching them from a different perspective. They can now step into the world of Science, History, Language Arts and Art. Technology like the Playstation VR and software such as Microsoft Hololens are making this possible. Imagine a classroom where one of your students is exploring the ruins in Rome; while another is creating their own 3D world to share. This is going to be our classrooms in the very close future. Our students’ are going to be able to explore and do things that we only dreamt when we went to school. To me, this is really exciting. What are your thoughts, should we be embracing this technology in school? or is this technology going too far? 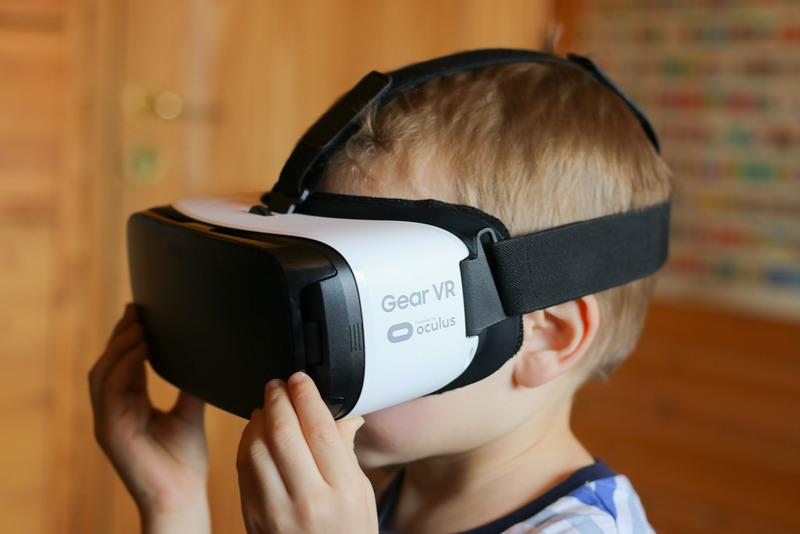 I would like to read your opinion on the future of Virtual Reality in the classroom. A child using a VR device.